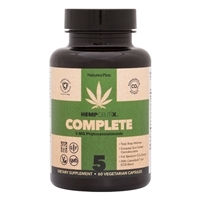 HempCeutix Complete 5 mg is the foundation to the HempCeutix line. Full-spectrum hemp phytocannabinoids, enhanced with tonifying botanicals in the ECS Blend and optimized with the absorption-boosting activity of CannaSorb. From hemp grown and extracted in Europe to being manufactured into a quality formula in the USA, HempCeutix Complete 5 mg is by far the superior choice. 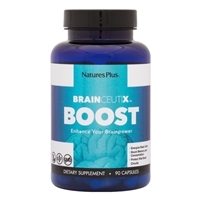 HempCeutix Sleep delivers the comforting, sleep-supporting benefits of 5 mg of highly effective hemp phytocannabinoids that gently ease the brain into a healthier state, which promotes the onset and maintenance of restful sleep. HempCeutix Sleep combines this powerful herb with other clinically researched synergistic sleep-supporting nutrients, including L-theanine, L-tryptophan, GABA, chamomile, lemon balm, hops and more. HempCeutix Relief provides the effective nutritional support of 5 mg of soothing and comforting hemp phytocannabinoids. HempCeutix Relief also features Amlexin, Longvida and Boswellia, which are all scientifically shown to support the healthy control of inflammatory mediators.